Sometimes it’s hard to know what something looks like through the eyes of others. 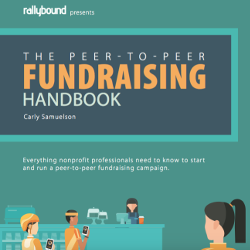 Since the Rallybound system is used by nonprofit staff and fundraisers, and with each having unique needs, we provide separate views for different types of users. However, in the past, this has made troubleshooting questions from fundraisers slightly harder for nonprofit staff as they did not have a view into what the fundraiser was doing. This changed recently in our system, and now nonprofit staff can “login as a user” through the admin portal. This functionally allows nonprofit staff to view and make changes to a fundraiser’s personal fundraising page, as well as team pages. However, rest assured, all sensitive fundraiser data is protected/restricted from this view, including any access to the fundraiser’s contact book. Sections that can be changed are uploaded images, fundraising goals, text and other non-private information on the page. With the recent launch of The Terry Fox Foundation’s 10,000 walks in Canada on the Rallybound platform, we rolled out another new feature that allows nonprofits to create, attach and send a PDF to donors. Terry Fox uses this feature to meet Canadian tax receipting requirements, including offering the forms in French. These attachments are created in the nonprofit admin portal using an intuitive builder. While not endless, the possible uses of this feature give nonprofits a great new way to provide donors with extra information in response to their donations.